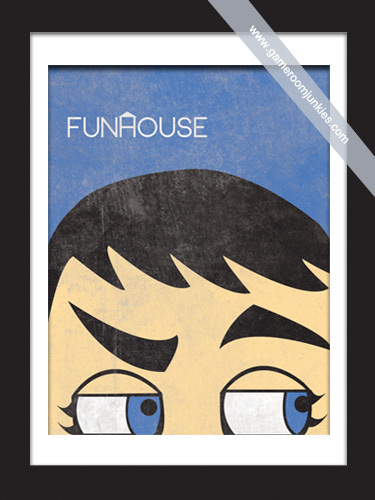 My first attempt at a minimalist pinball poster is for the classic Williams game, “Funhouse”. The most dominant feature of that game is obviously the iconic Rudy talking head, so that obviously had to be come the primary focus for my minimalist pinball poster. Those eyes can give you nightmares! Very cool. You even nailed the “creepy” factor! I would love this pic for my personal game room. It would look awesome next to my funhouse pin. Please let me know if it is for sale. I love it!